Buses must use the bus route map provided on the website. They will be allowed to stop long enough to unload the team and then they must move on as there is one way in and one way out of the lot due to construction. Buses may park at Commonwealth Stadium and drivers will be given admission to the event. Please give all drivers the road construction map as street are closed around the campus. We recommend that everyone come in Cooper Drive onto Sports Center Drive. Teams will be allowed to enter the facility before the admission gates open, but do not arrive more than 45 minutes before your posted entry time as final preparations to organize workers and officials will be our top priority before teams will be allowed entry. This will be especially congested in the turnover between the 1A and 3A meet on Friday. We will be clearing the stadium between the 1A and 3A and feeding our officials and workers. 3A coaches may pick up their packets at the team check in, but we ask that we all allow the 1A teams to exit. Once we are able to clear the stadium we can begin allowing the 3A teams entry and will allow the paid admissions shortly after. Please ask you teams and fans to be patient as we know that area is congested. 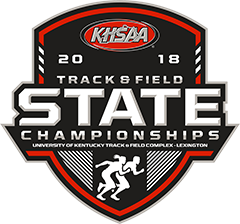 You all will be glad to hear that we will also be able to use the bathrooms at the baseball stadiums and addition porta potties have been put in place for arriving teams and in the throws area. Pole Vault Coaches will need to sign in separately at the team check in area. 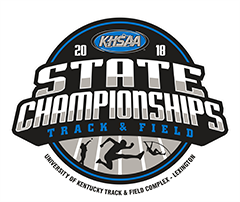 Only a coach who has met all of the KHSAA Coaches Certifications and taken the PVSCB course will be allowed an armband and access into the coaches box.